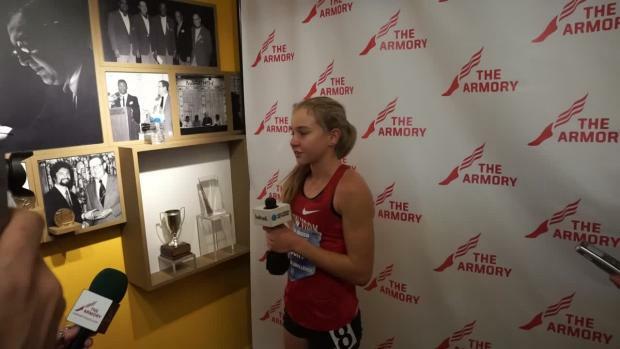 North Rockland's (NY) Katelyn Tuohy had a consistent day at the NYSPHSAA Indoor State Championships on Saturday at the Ocean Breeze Facility in Staten Island, earning two wins and a meet record. 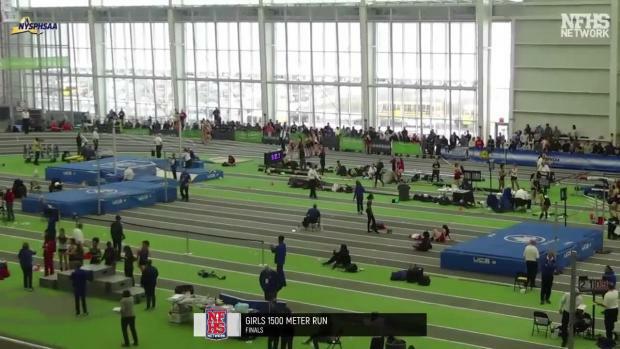 Tuohy started first with the 1500m (above), where she barely missed a meet record and recorded a winning time of 4:24.04. 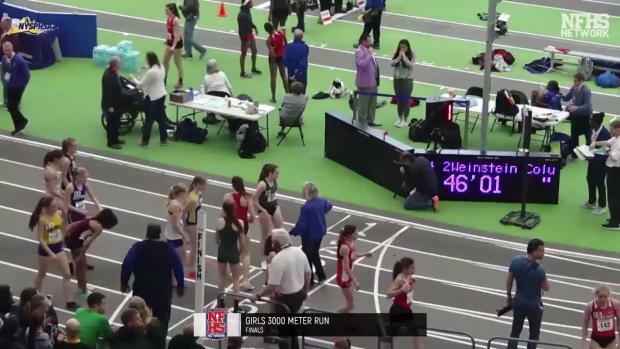 She then followed with an easy win and a meet record in the 3K--a distance where she set the national record in February--with a concerted effort in 9:15.35, distancing herself by 30 seconds from the next fastest runner, Tully's Brooke Rauber (9:42.73). 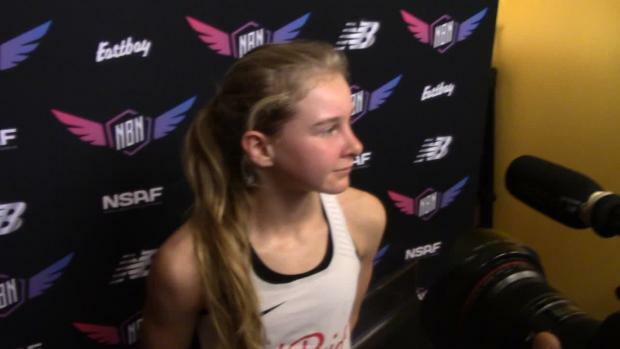 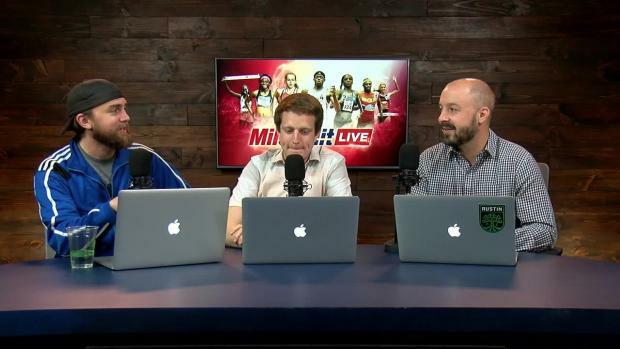 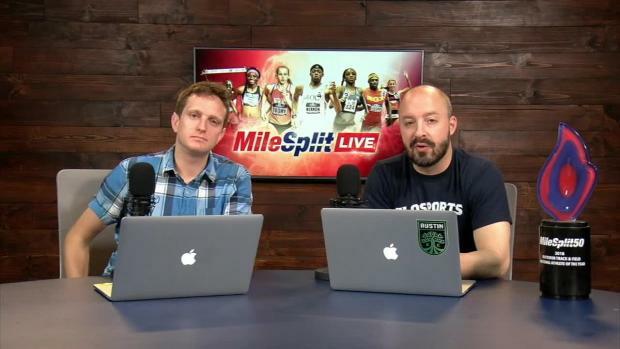 Tuohy now heads to New Balance Nationals Indoor, where she's entered in the 1-mile and 2-mile, while North Rockland may look to win another title in the DMR.